WELCOME TO IN-BOUNDS TRAINING CENTER! A fun, family-friendly place for soccer, plus a whole lot more. Develop character, community and passion for the game, in a clean and safe environment. Men, Women, Co-ed leagues available for all skill levels. Nationally renowned child development program for kids ages 18mo. – 9yrs. In-Bounds Camps provides your child with hours of games and activities in a fun, safe and contained environment. 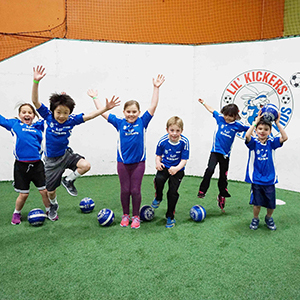 Looking for indoor field space? Another cold day? Raining again? Don’t cancel – CALL US!! Kids in group sports do better in school and have healthier relationships. Build a foundation for future soccer development & growth. Check us out today with a FREE trial class.